The Saaristomeri.utu.fi website (Saaristomeri means Archipelago Sea in Finnish) is administered by the Archipelago Research Institute, University of Turku, Finland. On this website we offer online data on weather and sea water quality at the Archipelago Sea as well as live stream of an osprey nest, located on the island of Seili. The site is meant to serve everyone interested in nature and knowledge backed by research. 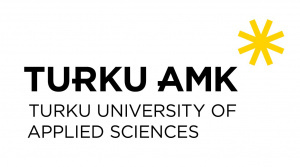 The services are produced in collaboration with the Turku University of Applied Sciences and other stakeholders. Please visit each page for further information. The Archipelago Research Institute is part of the Biodiversity Unit of the University of Turku, Finland. Its research station is located on the island of Seili (60°14’N, 21°57’E), in the middle region of the Archipelago Sea (northern Baltic Sea) about 30 km away from the city of Turku. The Institute has been operating on the island since 1964. The Institute participates in multidisciplinary research of the Baltic Sea, with a special focus on the Archipelago Sea. Additionally, we conduct long-term environmental monitoring and offer a number of research and teaching services and support to researchers, teachers, and students. Our own research chiefly comprises of projects studying the biological and geological condition of the Archipelago Sea. Most of the research in Seili is done in cooperation with other research groups within and outside the University of Turku. For more information, please visit our homepage. The Archipelago Research Institute is part of the Finnish marine research infrastructure consortium FINMARI, coordinated by SYKE marine research centre.